Mallikarjuna Reddy was the lone TDP MLA to be elected from Kadapa district in the 2014 assembly elections. 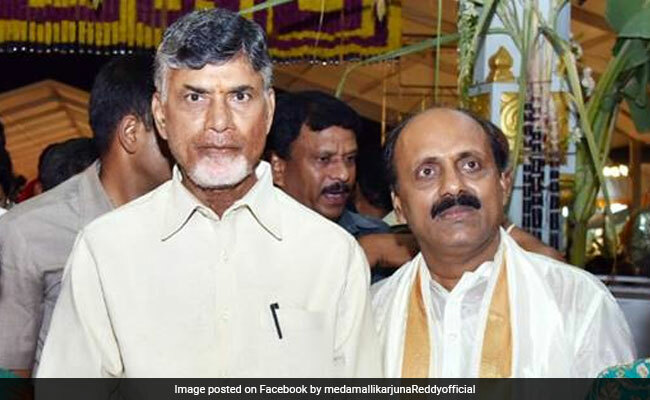 N Chandrababu Naidu announced, "Mallikarjuna Reddy is ineligible to continue in Telugu Desam"
The ruling Telugu Desam Party in Andhra Pradesh Tuesday suspended its MLA and the government whip in the Assembly Meda Mallikarjuna Reddy from the party amid reports that he was ready to join the opposition YSR Congress. "Mallikarjuna Reddy is ineligible to continue in Telugu Desam," party president and Chief Minister N Chandrababu Naidu announced. 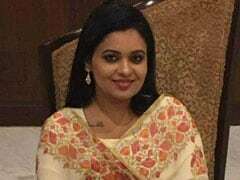 There was no place in the TDP for anyone who caused trouble to party workers, he said without elaborating. The announcement was made after Mr Naidu held a meeting with party workers from Rajampet, the assembly constituency in Kadapa district represented by Mr Reddy, in the backdrop of reports that he was set to join the YSR Congress. Mr Reddy was the lone TDP MLA to be elected from Kadapa district in the 2014 assembly elections. He was made the government whip. For five years, he enjoyed everything. We made him the whip and his father Tirumala Tirupati Devasthanam Board member. But, as elections are nearing, he left the party, Mr Naidu said, according to a TDP release. He told the workers that the TDP would win not only Rajampet but also other segments in Kadapa in the coming assembly elections, saying the government did a lot for the development of the district.